Some of Grand Canyon National Park’s best campgrounds are located on the North Rim. The North Rim Campground, perched right on the edge of Grand Canyon, has campsites with terrific canyon views. Toroweap Campground, located in one of the most remote parts of the national park, offers quick access to one of Grand Canyon’s most dramatic viewpoints. And there are several good camping options outside the park. Plan the perfect Grand Canyon trip for less than the cost of lunch! Perched on the edge of the North Rim, many people consider this to be Grand Canyon’s best campground. Most of the 90 campsites are surrounded by ponderosa pines and aspens. The best campsites are 11, 14, 15, 16 and 18, which have good canyon views. Grand Canyon Lodge and the North Rim Visitor Center are located one mile (1.6 kilometers) south of the North Rim Campground, and they are connected to the campground by the lovely Transept Trail. Next to the campground entrance is a general store with food and camping supplies. Coin-operated showers and laundry are also available. Reservations are required from May 15 – September 15. From October 16 to October 31 campsites are available on a first-come, first-served basis (weather permitting). No RV hook-ups. Elevation 8,200 feet (2,500 meters). Toroweap Overlook is one of Grand Canyon National Park’s most remote and beautiful destinations. Perched on the rim 3,000 vertical feet above the Colorado River, it commands stunning views of Grand Canyon. One mile north of the viewpoint is Tuweep Campground — a small, primitive campground (no water or electricity) with 10 campsites. 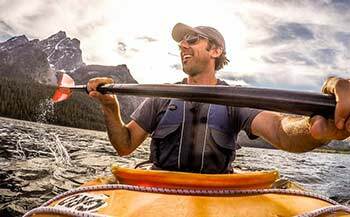 Backcountry permits are required to camp at Tuweep Campground. Getting to Tuweep Campground is very challenging due to rugged, difficult roads. The most reliable route to Tuweep is the Sunshine Route (BLM #109), which turns off AZ 389 about eight miles west of the town of Fredonia. The unpaved road is 61 miles long and it’s notorious for causing flat tires. Make sure you have a spare. High clearance vehicles are required and four-wheel-drive is definitely recommended. Vehicles over 22 feet are prohibited. More information about Tuweep. Located 5 miles (8 kilometers) north of Grand Canyon’s North Rim Entrance Station, DeMotte Campground’s 38 campsites offer the closest camping to Grand Canyon’s North Rim. The 38 campsites are located in the Kaibab National Forest. Reservations, which can be made up to six months in advance, are available for half of the campsites; the other half are first-come, first-served. A small general store/gas station is located across the road from DeMotte Campground. Elevation: 8,760 feet (2,670 meters). This basic campground is located in the small town of Jacob Lake, 44 miles (71 kilometers) north of Grand Canyon’s North Rim Entrance Station. The 51 campsites are located in the Kaibab National Forest. Located near the junction of two highways, Jacob Lake Campground is hardly the region’s most scenic campground. But if the North Rim Campground and DeMotte Campground are full, Jacob Lake Campground might be your best bet. Reservations can be made up to six months in advance. Elevation: 7,920 feet (2,414 meters). 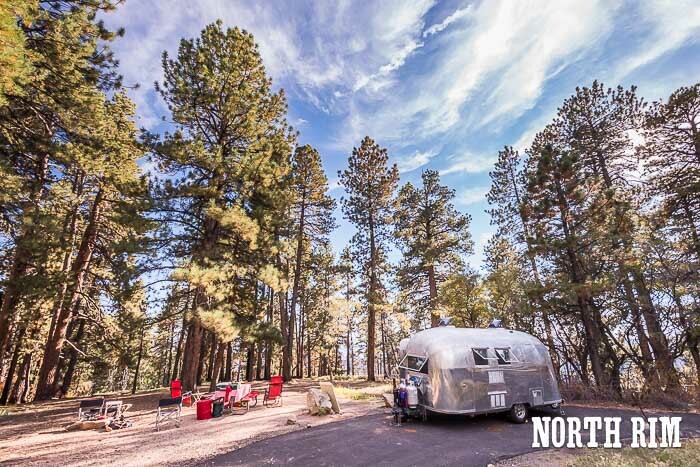 This private RV campground offers the only full RV hook-ups near Grand Canyon’s North Rim. Kaibab Camper Village has 46 RV sites, plus a large area for tent camping. Coin-operated showers and laundry are available. Reservations for the coming year are available in January. Elevation: 8,000 feet (2,438 meters). 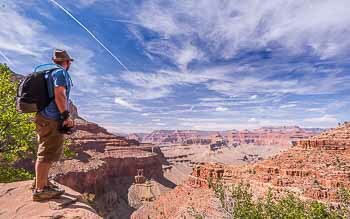 Plan the perfect Grand Canyon vacation for less than the cost of lunch!